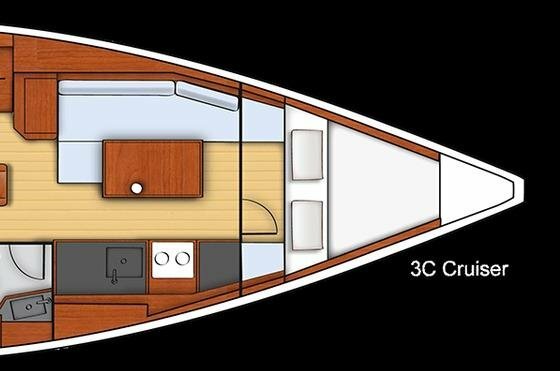 With her large beam, this boat is quite spacious for 35 feet. 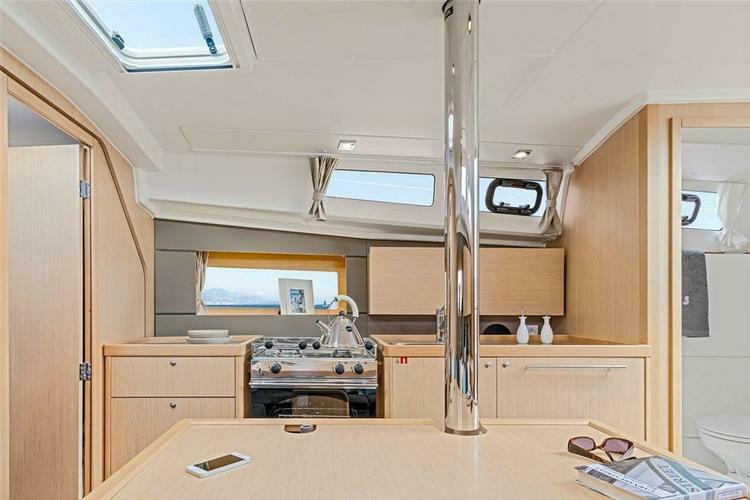 The twin-helm stations provide easy access to the fold-down swim platform, and open up the cockpit for evening cocktails and dining. 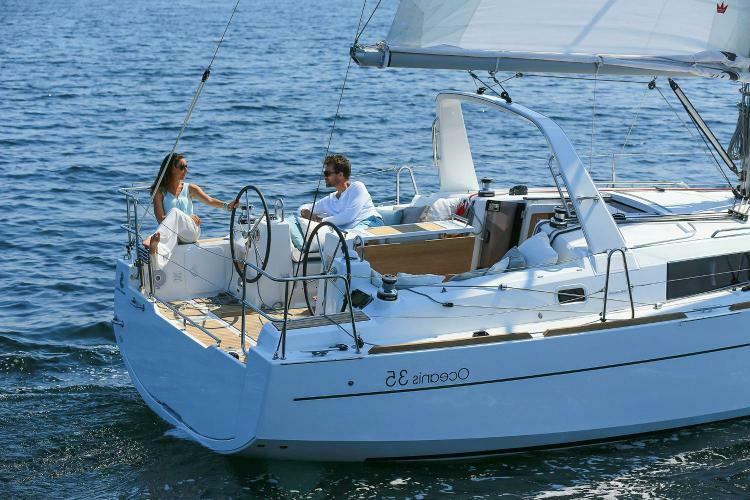 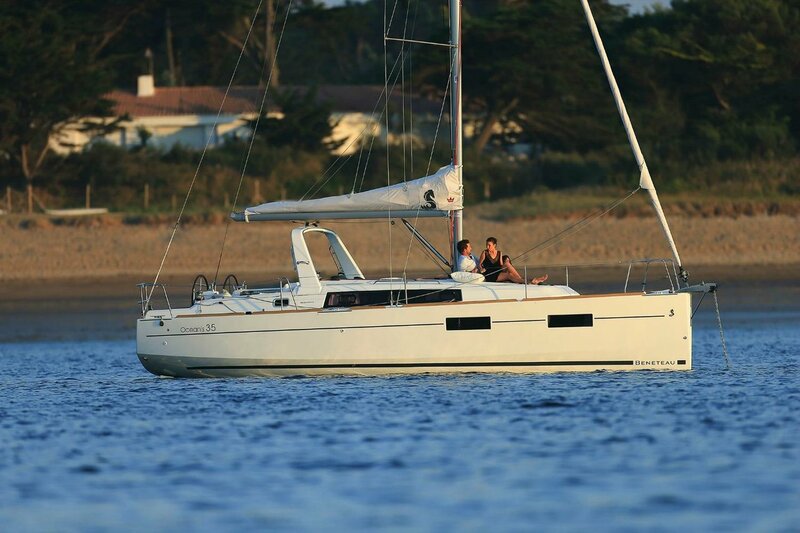 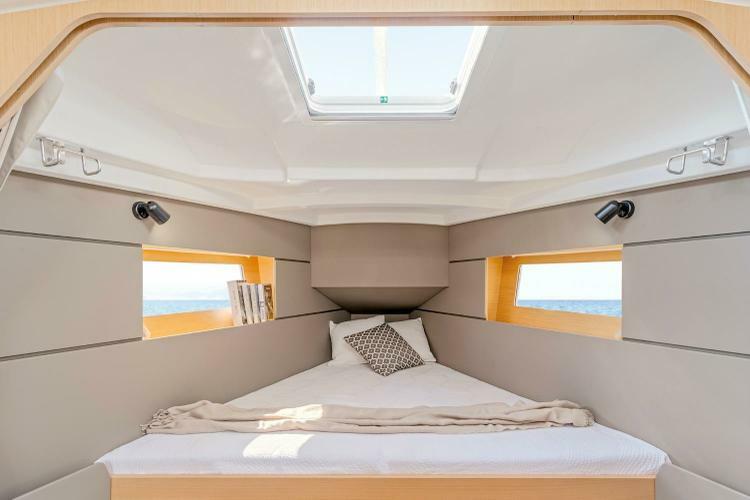 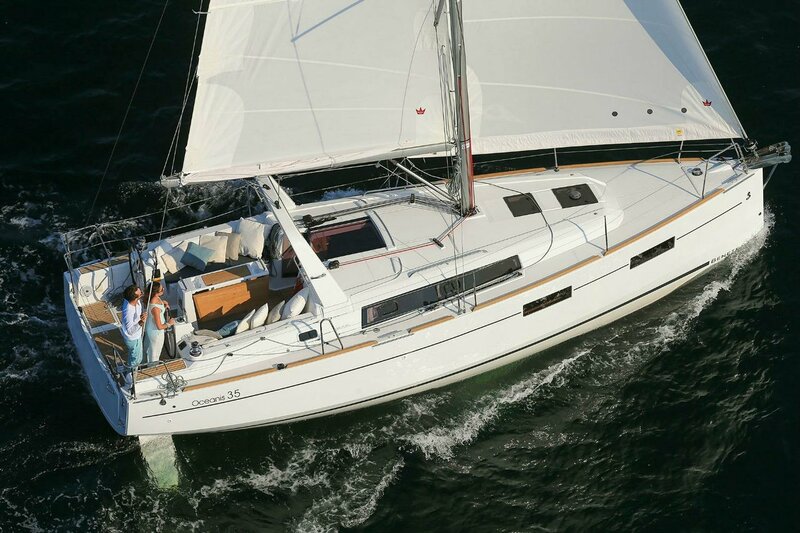 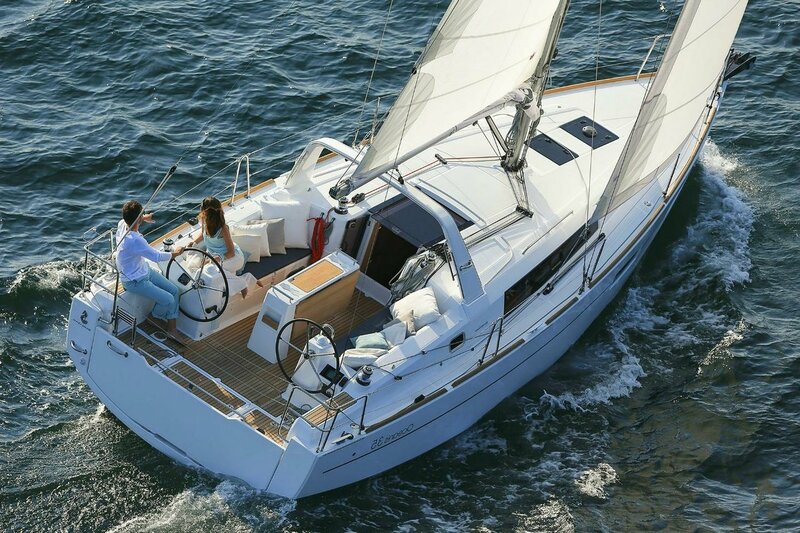 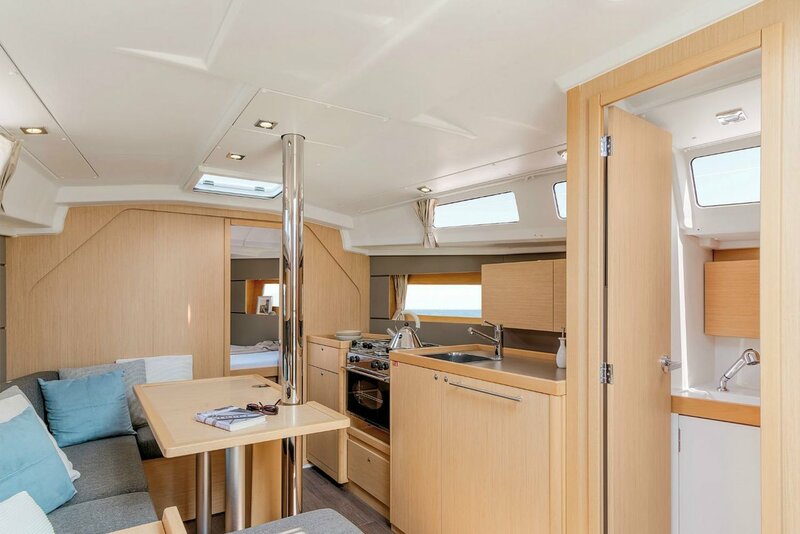 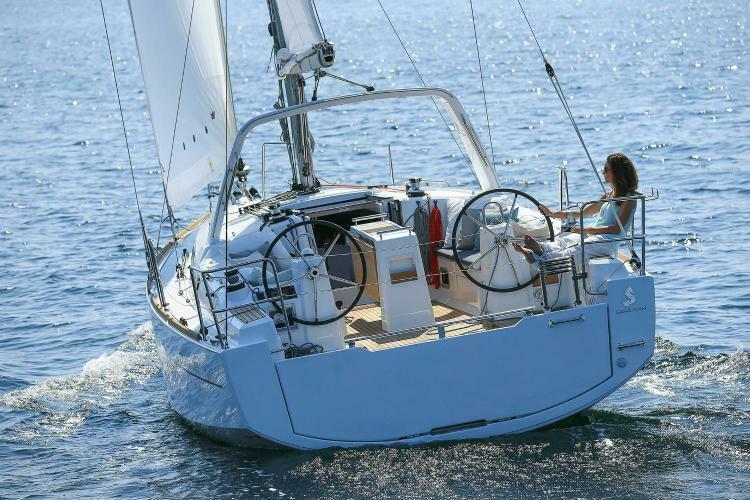 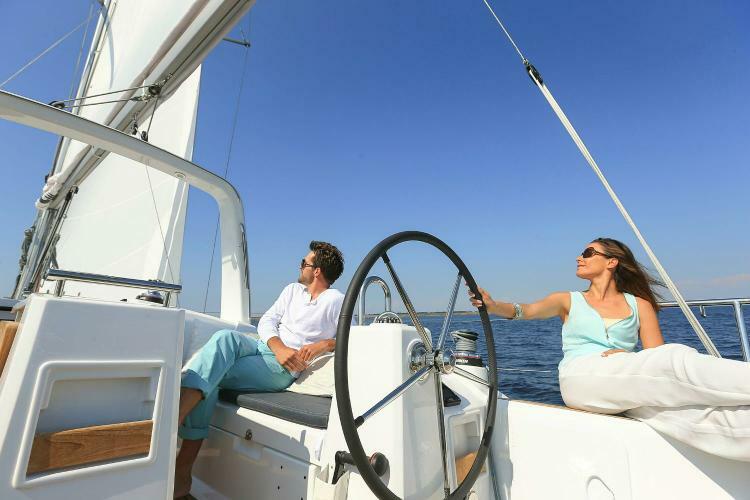 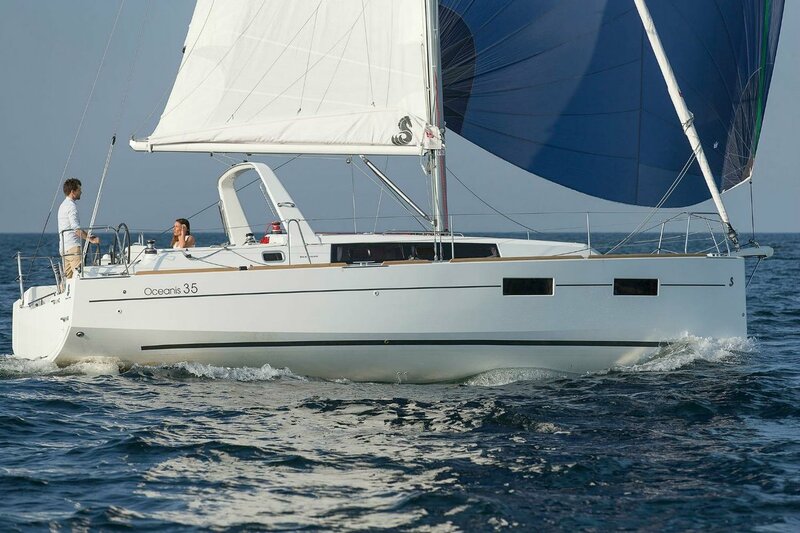 She is perfect for a couple with a forward v-berth that can be opened up to the saloon. 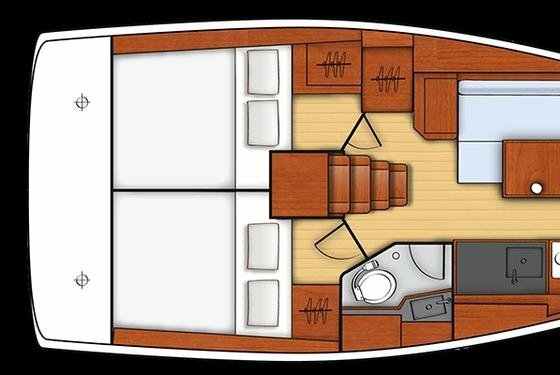 The boat has three cabins if you want to bring the family along as well! 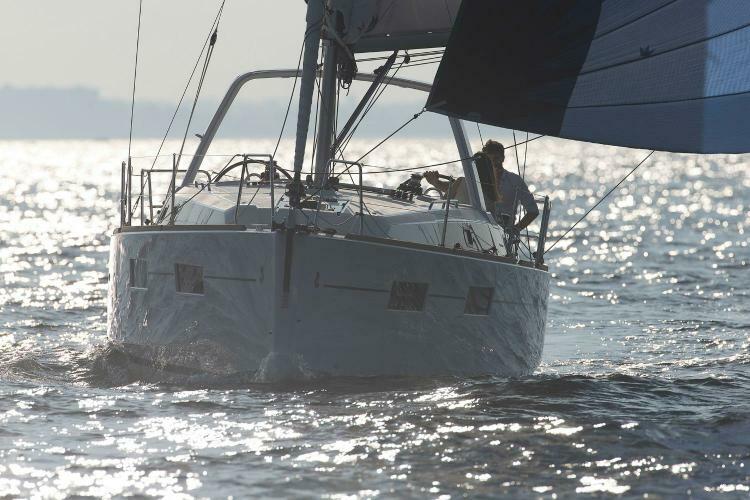 She is available for bareboat or skippered charters. 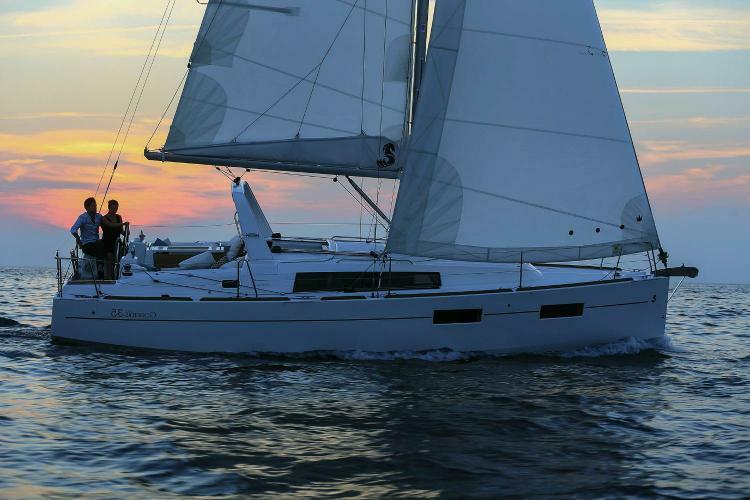 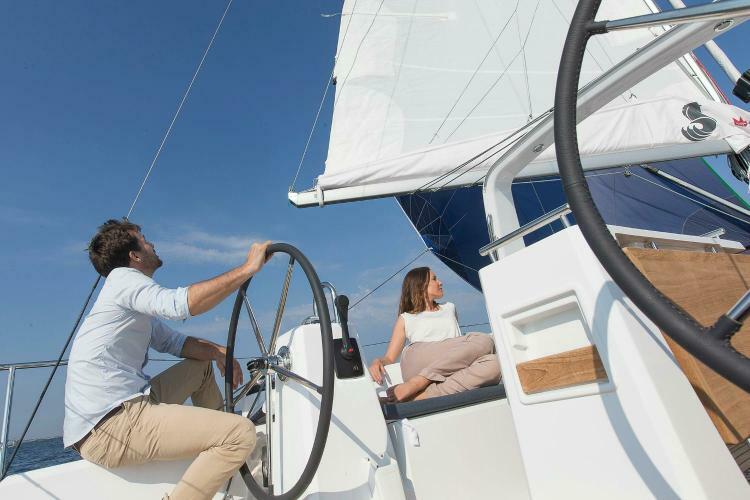 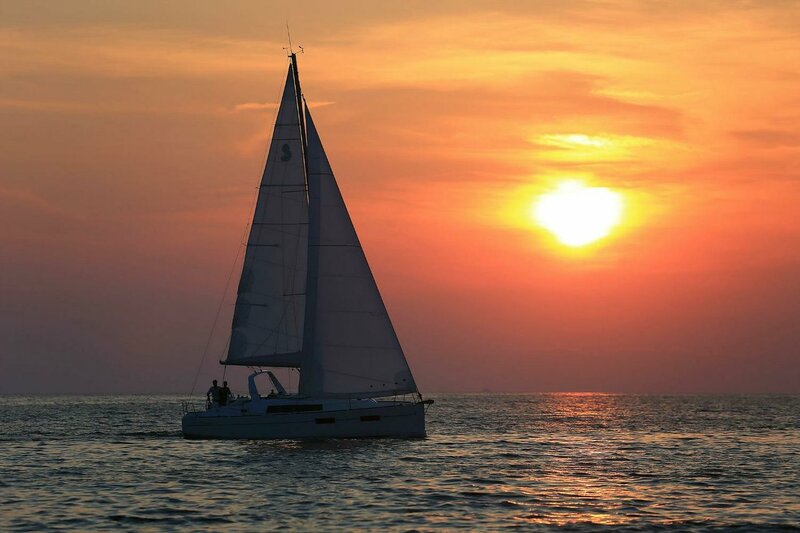 Charter this yacht for the perfect escape from reality.